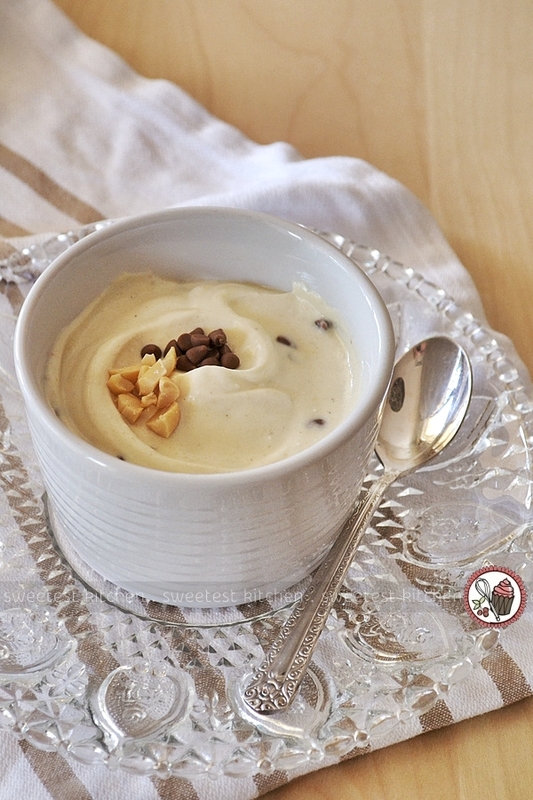 you could whip up a batch of light and healthy-er cookie dough made with Greek yoghurt! What the heck am I talking about, you ask? Here’s a little something you may not know. When you combine Greek yoghurt with a bit of peanut butter, a bit of maple syrup, a touch of vanilla and some mini chocolate chips… you end up with a bowl full of yumminess that tastes quite similar to cookie dough! There’s a couple of ways you could do this. The first way is as I mentioned above. The second way is the quickest – buy some vanilla Greek yoghurt (Chobani can help you out with that one). Then all you need to add is peanut butter and chocolate chips. But, if you’re in my situation, you may not be able to find vanilla Greek yoghurt, or even Chobani yoghurt. In that case, just buy some thick & creamy Greek yoghurt and you’re good to go. Or maybe this would even work with regular vanilla yoghurt, or plain yoghurt. I’ve never tried it in this recipe, but feel free to experiment. So anyway, yes, I have been making cookie dough Greek yoghurt for months; I simply cannot get enough of it. It’s my dessert of choice, and I can feel good about it because it’s not entirely bad for me. Definitely more nutritional than a brownie or slice of cake, that’s for sure!, but it does still have sugar and chocolate chips. Just remember, everything in moderation. I can’t track down the original author of this recipe as I’ve seen it on a number of blogs. I’m posting the link in my recipe below to where I first discovered it; The Suburban Girl Gone Country. Some of my notes on the recipe… I usually use a heaping tablespoon of peanut butter. I use homemade peanut butter; it tastes better and mixes in better than commercially-prepared peanut butter as well. You can probably try using other nut butters, but it will result in a different taste, obviously. For the sweetener, I always use maple syrup. I’ve tried other liquid sweeteners, but maple syrup gives the best flavor, in my opinion. I’ve never used sea salt in my version. Finally, I always use vanilla bean paste because it gives a better vanilla flavor. Enough talk, let’s get on to the recipe so you can enjoy this simple dessert as well. 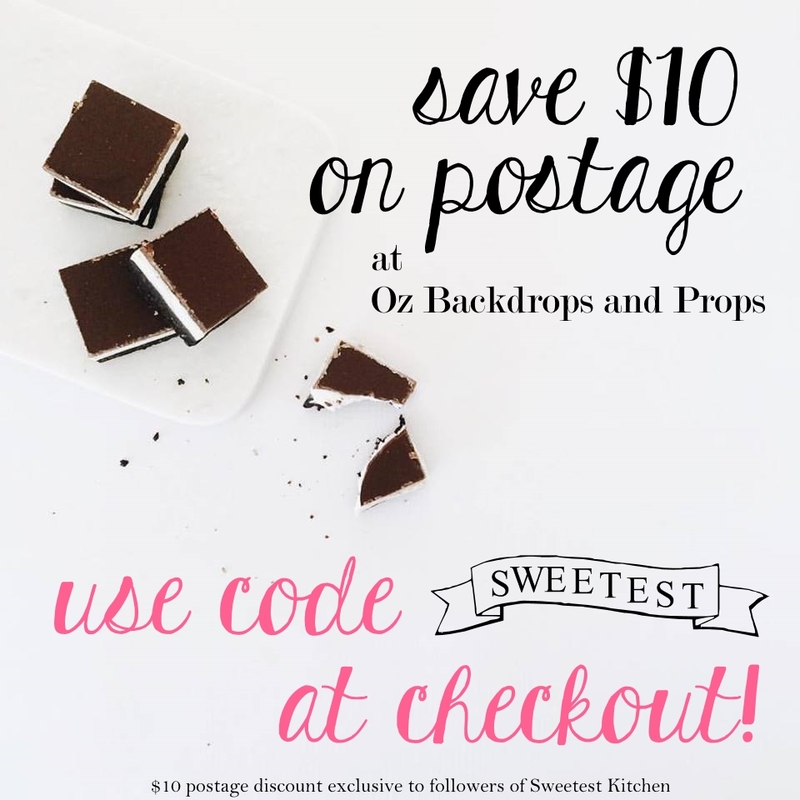 You probably have most of the 6 ingredients on hand already! 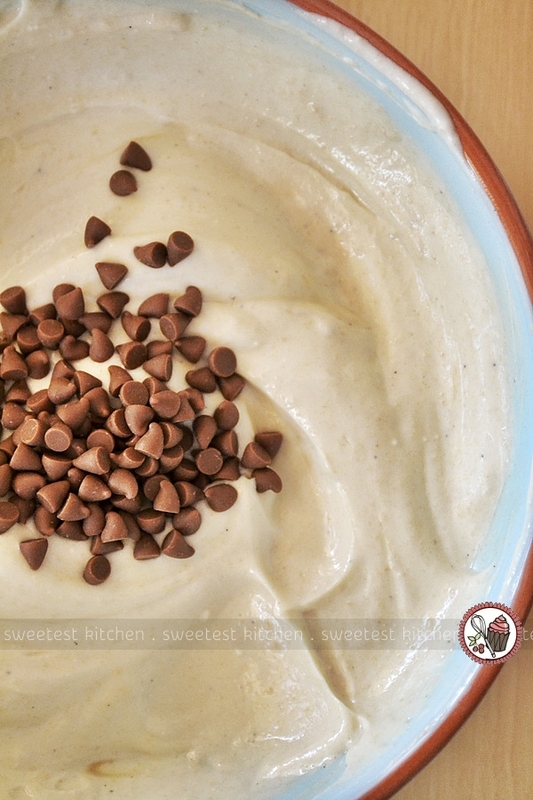 A quick and healthy-er version of cookie dough to satisfy your sweet cravings! 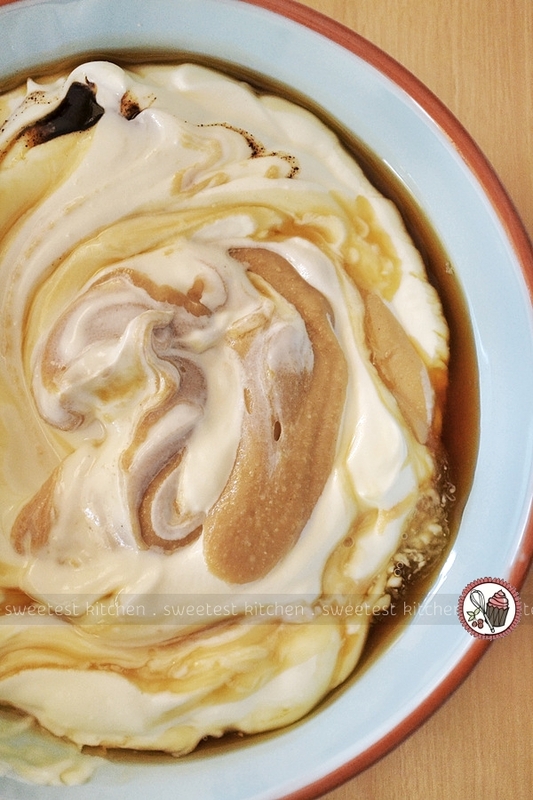 Combine the Greek yoghurt with peanut butter, maple syrup, vanilla and salt. Mix until smooth and completely incorporated. Mix in chocolate chips. Enjoy! 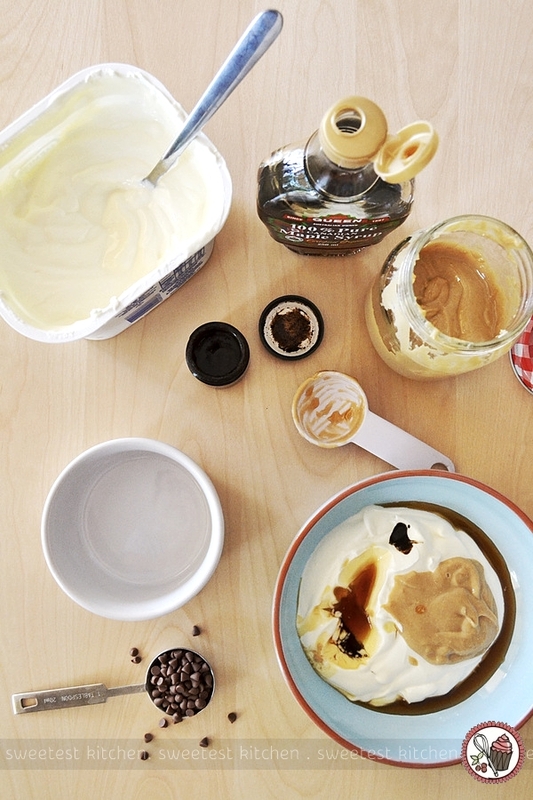 If you're able to find vanilla Greek yoghurt, you can just add 1 tablespoon of peanut butter, a pinch of sea salt (optional) and 1 tablespoon of mini chocolate chips. Or try The Skinny Fork's recipe; she even uses Nutella! Yummmmmm! This looks and sounds incredible! I’ve tried similar mixes before, but without Choc chips and usually either maple syrup or vanilla rather than both. Love your healthy take on things. Just read your profile. I used to live in Browsburg, Indianna for a few years and loved it. Hope you love Australia as much. Thanks for your recipes. Looks like a nice yogurt recipe to try out this weekend but I might have to substitute the peanut butter due to allergic reaction. Will come back and leave my thoughts from the weekend yogurt creation. Yummy! This yogurt looks so irresistible! I want to try it!